https://amzn.to/2M79LN1 click on this link to buy product. 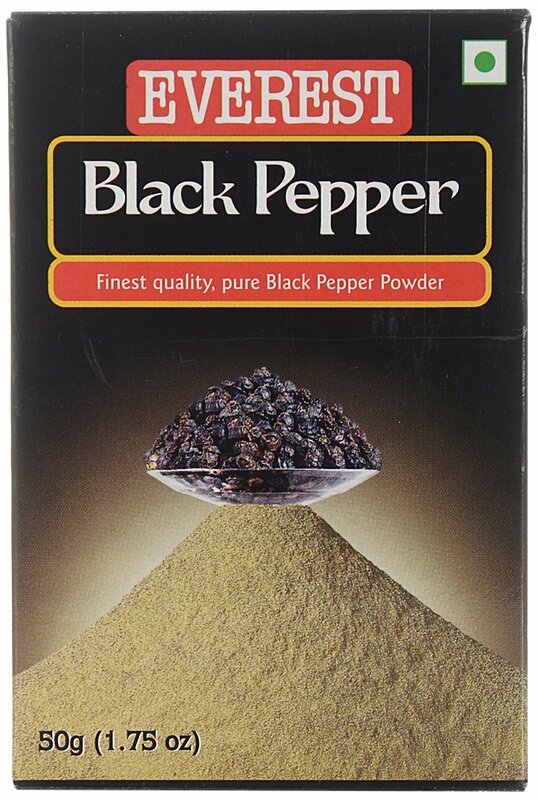 Everest’s black pepper is fine ground, highly aromatic Allepey pepper acclaimed for its superb flavour and bite. These ‘bold’ berried peppers are sourced from the erstwhile shipping port ‘Allepey’ – a Southern district of Kerala. Good quality black pepper as expected from Everest. It has that strong characteristic aroma of black pepper and taste is also quite good. Package had been delivered on time as always with AmazonAvailable from these sellers. These days are with full of cucumber. On my father’s farm, a lot of cucumbers are there.One cucumber at least weighs 2 kg . Green, fresh with a good organic taste.If we are thirsty in the field & ate 1 cucumber our stomach is fulfilled. We are making 100’s of recipes from this cucumber, fasting recipes, salad recipes, coshimbiri’s, chapati’s, etc. When we have full of rain automatically cucumber grows in the field. Last year in my garden automatically 1 creeper of cucumber came & at least it has grown 50 cucumbers. Really I became very happy when i am getting 1 or more cucumbers. It gives tremendous happiness to us as it was grown automatically. It has so many benefits. It is rich in vitamin [A] so it is good for eyes sight. As well as its fibres increase the capacity of digestion. Sometimes it grows more in proportion & our farmers are giving it to the animals like cow, buffalo, ox etc As they are working in the farm. Let us we will see how did i have made Raita of cucumber? : Make the pieces of it & keep aside. : Take all ingredients in a dish that is Skutt, homemade metkut, sugar, salt, chilly powder, cumin powder etc . : Take thick Dahi in a bowl. : Now take another pot & pour the pieces of cucumber to it . : Add all ingredients sugar, Skutt, homemade metkut, chilly powder, cumin powder, salt to it . : Pour Dahi to it. ; Now keep the small pan on the gas, pour oil to it, add cumin seeds, mustard seeds & splutter it well. Add a pinch of hing to it. Stir it well. We can eat it with chapati or rice it tastes very well.You never have been tested before it.